(Andrew Harnik | The Associated Press) President Donald Trump calls on a reporter as he speaks to members of the media before boarding Marine One on the South Lawn of the White House in Washington, Monday, Nov. 26, 2018, for a short trip to Andrews Air Force Base, Md., and then on to Mississippi for rallies. If you’re feeling concerned about President Donald Trump calling the news media “fake news” or “the enemy of the people,” don’t be. 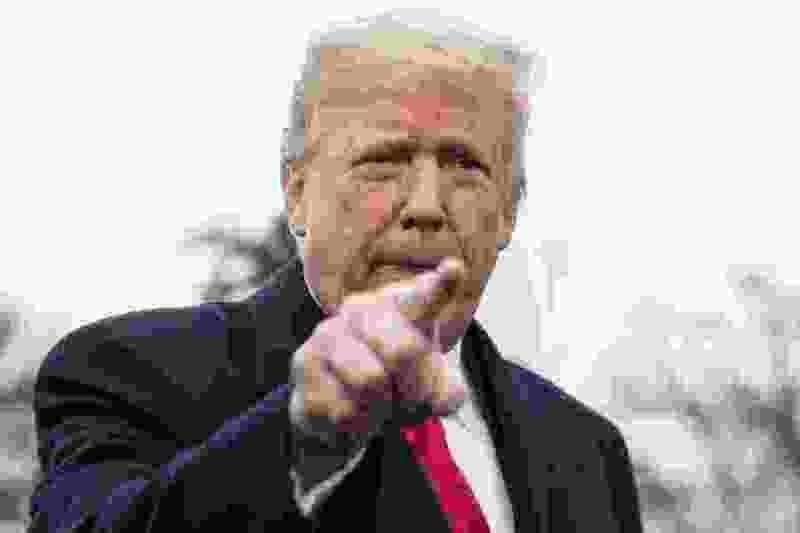 The Donald is doing the print and broadcast media a great service by creating content, interest and sympathy, while they in turn keep him in the spotlight by propagating and amplifying his every utterance. For him there is no such thing as bad publicity. This is about as close to a true symbiotic relationship as you can get. He is also potentially saving these organizations money by becoming their de facto assignments editor. Think about it: Major newsrooms are now able to cut costs by eliminating one more staff position. In fact, The New York Times, The Washington Post, CNN and others should consider pitching-in to send the president a modest stipend for his service to journalism. He might even donate this to a favorite charity, like the Trump Family Foundation.